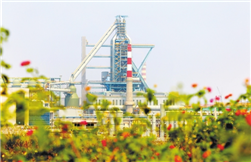 Baosteel Zhanjiang Iron & Steel has come one step closer towards its goal of becoming a world-class industrial powerhouse of green development and high efficiency. 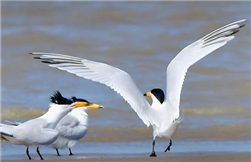 A Chinese crested tern was recently spotted by bird lovers in Leizhou, a county-level city in Zhanjiang. Zhanjiang will promote the use of prefabricated buildings, also known as prefabs, to save energy, help resolve the problem of excessive industrial capacity, and improve the construction industry. 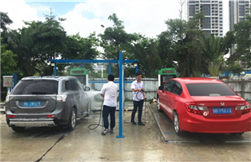 A self-service reclaimed water car wash station, the first of its kind in Zhanjiang, opened on June 27. 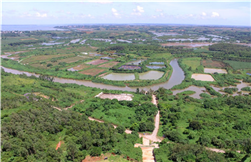 About 689.64 square kilometers of Zhanjiang land have been designated as ecological red line zones and put under mandatory protection. Groups of bee-eaters, often hailed as "the most beautiful bird in China", are currently residing in Tianchengtai Resort. Zhanjiang held onto the first place in Guangdong province for the second month in a row with an air quality index (AQI) of 2.81 in April.